For Spring 2012, Guerlain tells the story of spring by pairing bursts of pink side by side with the intensity of black. Sophisticated and elegant, this color collection defines femininity, while also revealing our inner seductress. I can't wait! Sunshine was predicted for today, but it's cloudy and breezy - perfect weather for thinking spring! Packaged within the legendary rosette of the Météorites Perles, we'll find a stunning pink flower. Named after one of the exclusive fragrances from the House of Guerlain, Météorites Cruel Gardenia, shown above, will light up the skin with a subtly iridescent veil. Guerlain advises to create a radiant complexion by applying Cruel Gardenia all over the face or in a specific area, such as the cheekbones, to add structure and definition to the face. As an ode to the color pink, four glamorous new shades have been created for spring. With a dash of ruby powder, hyaluronic acid to smooth and plump, a hint of filling gugul resin, plumping tiger grass, and wild mango butter for perfect hydration, your lips will be left radiant and as soft as a flow er petal. The four limited-edition “Pink Collection” Rouge G shades will be #72, Rose Innocent; #73, Rose Ensoleillé; #74, Rose Piquant; and #75, Rose Barbare. Even though I find the Rouge G cases to be too heavy for me, I doubt I'll be able to resist these gorgeous shades. Plus, there's word that next year we may see refills. There will also be new permanent additions to Guerlain's eye shadows and lip glosses. 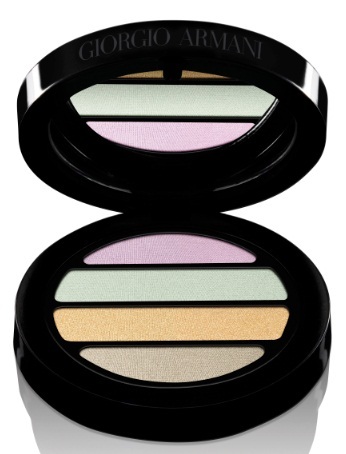 Within one case, the six eyeshadow colors in 66 Boulevard du Montparnasse (shown above) dazzle. This is a new, permanent shade. The central luminous pink shade is surrounded by pearl mauve, tea rose, soft violet and soft pink, while a liner traces the eyes in an intense plum. Whether you create a tone-on-tone, couture, or smoky eye look, the result is captivating. Moonstone, the key ingredient, adorns the eyes with its silvery reflection and lamellar structure to keep the eyeshadow in place all day for a fresh look. Each harmony of Ecrin 4 Couleurs is composed of an interplay of four different and specially selected textures to allow you to mix and mat ch to define your own look. There are two new permanent shades. #12 Les Aquas - For a sophisticated and stunning gaze, this palette mixes an iridescent blue, a matte navy, a velvety turquoise, and a glacier metallic blue. #11 Les Roses - Consisting of an iridescent pink with pearl particles, a matte pink, a metallic violet, and a raspberry shade with a velvety finish, this palette allows you to create a fresh yet seductive look. 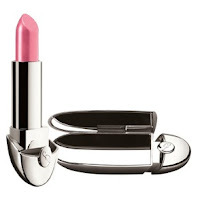 This s pring, lips will be pretty in pink! Kiss Kiss Gloss will melt over the lips allowing for a comfortable, long-lasting shine. There will be four new permanent shades. #871 Frosted Rose: an off-white with delicate, subtle pink mother-of-pearl particles. I can't resist Kiss Kiss Gloss, so I see four new ones in my makeup wardrobe. I'll have to raid the savings account. 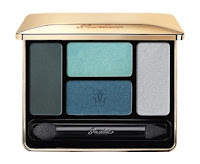 Guerlain's Spring Colour Collection will be available in January 2012 at select locations at Saks Fifth Avenue, Nordstrom, Neiman Marcus, Bloomingdale's, and at Bergdorf Goodman. The spring makeup trends are coming up pink and peach - colors that work for all of us. It's going to be a gorgeous season. I have developed a naughty, time-killing habit early in the morning. I spend time on my iPad (in bed) looking at celebrity news. Sometimes, I can't resist clicking on an article that looks interesting, and the fashion items often catch my eye. I usually try to be charitable in assessing celebrity fashion, but most of them have stylists, right? Aren't stylists supposed to make celebrities look good? The "looks" at last night's 21st Annual Gotham Independent Film Awards left me wondering. 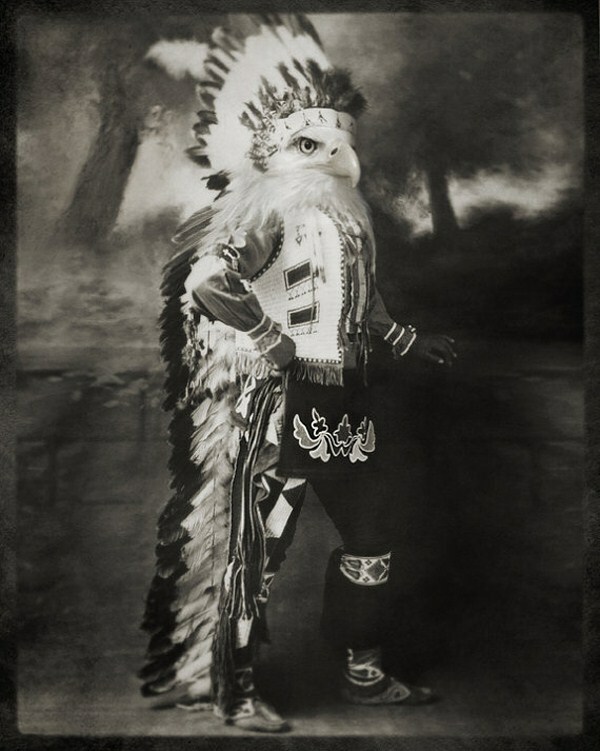 I was browsing the Huffington Post, where you can see a slideshow, the source of these photos. Thankfully, Charlize Theron, daring in a plunging neckline, looked good despite her ugly dress. Would it be possible for her to look bad? I had no issues with the plunging neckline; it looked great on her. The rest of the Gucci dress? She looked like a fashion victim in the "flouncy black drop-waist skirt." If you want to see more, head over to the Daily Mail online to see that she managed to stay in her dress after an accidental trip. That Hollywood Fashion Tape held! Tilde Swinton has always tends to look bizarre at events. She outdid herself last night in this hideous get-up. Just click on the photo if you want to see this "look" in more detail. Then, there was Melissa Leo, a beautiful and talented woman. Did she find this dress in her grandmother's archives? Home on the prairie with a flower garden? Could the cute Louisa Krause look any chunkier in her loosely fit dress and patterned boots? Head over to the Huffington Post to see Felicity Jones and Shailene Woodley (who is she?) in the "any old shoes" they threw on with their dresses - and the rest of the evening's "fashion." Maybe I missed something. Was the dress code "whatever" for the evening? Where were there any stylists in the house? Good thing I usually stick to beauty. My inner snark came out here. Finally, we have a By Terry counter in the DC area! Bloomingdale's at Tysons Corner Center opened a mini SPACE.NK.apothecary area when they unveiled their expanded beauty department not long ago. While I can't seem to find the latest and greatest there, I have been able to purchase a few intriguing things to try. Rose De Rose ($54) caught my eye the last time I went in. Part skin care, part color liquid blush, Rose De Rose is rich in natural pigments drawn from rose petals to blend easily into the cheeks and facial contours, leaving the skin feeling smooth and looking radiant. There are three shades, and I had a dilemma. One is rose pink (Fresh Rose, #1); a second is peach (#2); and a third is a mauvy "amber" (Amber Rose, #3). I wanted the Fresh Rose for bright, cheerful days,and I wanted the Amber Rose for several reasons. Applied lightly, it's a very natural blush on my skin. Applied more heavily, it's a bronzer or contouring shade. So, I bought both - my usual solution for indecision. I like the pump-top containers. They are convenient for dispensing no more product than you need for a full application. I've been pumping the blush into my palm and applying it with a brush. To take a few swatch photos, I pumped out a "dab" on my arm, and then I pumped out a second dab, blending (spreading) it with my fingers to show you the color. I didn't blend it in as carefully or thoroughly as I would have on my face. I wanted to get enough color to show you the shades in full sun. I think these two shades are drop-dead gorgeous, and I'm regretting not buying the third. Look at the gleam from these blushes! Now, imagine the color blended properly on your cheeks, and you'll get a visual picture of glorious, natural, luminous color. I snapped ph otos at slightly different angles to the sun so that you could see the effects of light on the shades. When blended, both shades impart a sheer, flattering blush color. Now, I fear, I'm going to become a By Terry addict. I really want the limited-edition Terribly Or Rose, which I didn't see at Bloomingdale's! There's so much more I want to try. One nice thing about SPACE.NK is the N.dulge (loyalty) program. When you earn 100 points (by spending $100), you get a $5 credit that can be used in store or online. How could I let that free $5 go to waste? You can purchase By Terry products from SPACE.NK.apothecary online, at By Terry online, or at SPACE.NK counters in the United States. I think it's easier to find in France. Do you think it's too early to be excited for spring? I'm in the mood today, as a cold front is bringing rain, clouds, wind, and seasonal weather. The last few days have been glorious, so it was hard to think spring. Today? It's like a daydream. What better way to make it come to life than with Giorgio Armani Beauty's Spring 2012 color collection? 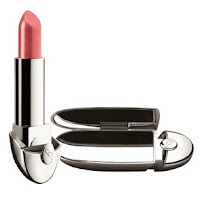 Giorgio Armani's concept for spring beauty is characterized by "metal fiber" and "modern couture" - inspired by his love of light and its effect on color. Armani continues his focus on avant garde textile artistry by embellishing delicate natural fiber with refined metal, transforming simplicity into future refinement in makeup. Linda Cantello has interpreted Mr. Armani's vision into a new landscape of metal where gold takes center stage and gemstone-cut colors define the face of the "Armani woman." For the eyes, Armani will offer delicate shading from metal fiber to antique and jade green, contrasted with liquid gold and copper lining. 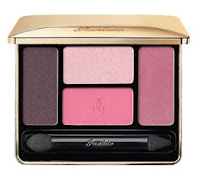 The face will be dressed with a sophisticated pale glow with a touch of pink tourmaline. The lips will gleam in refined tones that spring from the earth, grounding the ethereal look for the eyes and cheeks. Two Eye Palettes ($59), featuring Armani's unique Color-Fil technology, blend pure pigments with a translucent base to produce a fine film of color that offers color impact, improved payoff, and the exceptional layering properties for which Armani is known. The result? An extremely fine film of vibrant color that blends perfectly to create a customized, soft, and translucent eye without any powdery finish or effect. How? Luce d'oro, a new pigment, has been added to the shadows to give them a special luminosity. There will be two pastel color harmonies, each with four shades. The first, shown above, combines soft pastels with the luster of antique gold and offers pearl violet, jade green, sheer gold, and Armani greige. The second, shown at the top of this feature, includes grey, metal fiber, copper pigment, and crystal brown, presenting a harmony of gold and copper accented with moonlight silver. Both palettes will be must-haves for me. Actually, everything in the collection will be a must-have for me. Who am I kidding to think that I'll pick and choose? The Eye Pencils ($27) jazz up the look with antique gold (or) and copper (cuivre) pigment. Remarkably soft and creamy on application, the formula is as precise as a kohl, as intense as an eyeliner. The pencils create a long-lasting, water-resistant outline that will endure for hours. There will also be a black eye pencil and an Eyes to Kill Mascara in Mineral Green! Green! I'm betting it's glorious. The Tourmaline Pink Blush ($55) featured in the Luce Collection features a soft and subtle texture infused with soft shimmer particles that deliver a natural, soft glow to every complexion. 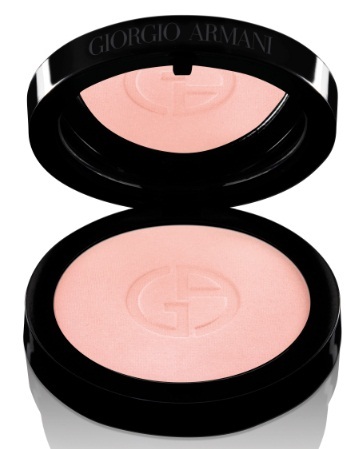 Micronized to the extreme, this blush leaves a translucent finish that will enhance without looking like makeup. 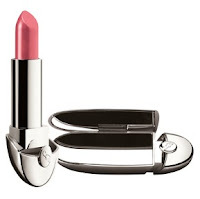 I have multiples of every blush I can wear from Armani, and I'm sure I'll buy at least two of these. Isn't the color exquisite? This spring's sheer, glossy shades of Gloss d'Armani ($28) will be Beige 105, Brown 204, Rouge 405, and Pink 508. These shades have names: Greige d'Armani, Caffeine, Wild Rose, and Blush. Even now, I can see Pink 508 worn with the gorgeous pink blush, and an eye gleaming with pinks and greens for a gentle push into spring. Or the eyes punctuated by the shades of metal - copper and gold - and the lips in either the neutral beige or more dramatic marron (Brown 204). Linda Cantello has advised us to apply our choice of colors swept over the lid and up toward the temples for a pure wave of light. Use one of the two molten metal pencils to highlight the inner corners of the eye. Use the shadow over the cupid's bow of the lips to create the vision shown on Giorgio Armani's runway for Spring 2012. I'm there, but the products aren't yet. The collection should be available at Giorgio Armani Beauty (online and at boutiques) and Armani counters in February 2012. See anything you like? Giorgio Armani Beauty's Eyes to Kill Intense ($32) is perfectly named. 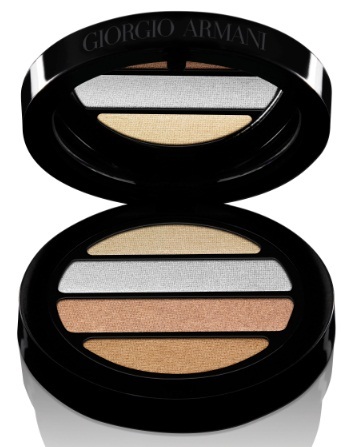 The three shades in the Madre Perla Collection for Holiday 2011 are not your wear-to-work eye shadows. They offer something extra for your evening events - and it's intense. Holidays are a time to celebrate, and the three shades in Madre Perla will make your your eyes dazzle for your festive events and romantic dinners. They say there's nothing more flattering than candlelight. Apply one of these holiday shades and smile across the table with confidence that you look eyes will be magnetic - like molten metal. During the recent Giorgio Armani Beauty Friends & Family event, I took advantage of the discount and ordered two of the three new, limited shades for holiday. You can still get a discount at the site, but these two shades are currently sold out. Just check out the codes at this link. I ordered #18, Gold, and #19, Gold and Silver (Note: the Armani Beauty Web site calls these shades #2 and #3 - figure that out). I'm always smitten with gold eye shadows, so they were a natural for me. The third shade, #17, Silver, was nagging me, but I was able to resist. I don't go out at night enough to warrant a purchase. Plus, I already own numbers 11, 12, and 16 - all of which are silvery. These were difficult to photograph without a shadow. I needed to turn them toward the sun, and that didn't work well on the ground in my driveway. So I propped them up in the window well of my car's back window and managed to get a wide expanse of color, with the shadows from the sides of the pots showing only on the left side of each. The blended Gold and Silver, #19, is shown at the left in the photo directly above, and Gold, #18, is on the right. Both look very light when illuminated by full sunshine. They were even harder to swatch! The shades dazzle in sunlight. To me, they are metallic. One could definitely call them sparkling. Gold is swatched at the top of my arm, and Gold and Silver is shown below. I swatched them with a sponge-tipped applicator (fairly heavily) and took my photos in full sun. I might have been more successful in achieving an even application using a brush. The shade called Gold is a pure gold. Gold and Silver, a blend, is an interesting shade. It looks like a subdued gold to my eye, but the camera picks up the silver in the blend. It's a great hybrid of the gold and silver. You can see both shades running through the pot. Eyes to Kill Intense has a unique, high-tech approach to color with these new shadows. The innovative hybrid texture, which is not a powder, nor a cream, acts like a smooth, lasting color film. The formula is composed of an unprecedented association between binder elements and pearls that creates exceptional luminosity, depth, and intensity of color. A high-resistance bi-polymer enables the formula to perfectly fit the contour of the eyelid, with cushiony suppleness. Armani says you can apply these shadows dry or wet to obtain any finish from satin to lacquer, subtle to dramatic. I'm working to achieve subtle. Offering 24-hour wear, the Eyes to Kill Intense shadows are waterproof and sweat-proof. They slide on and stay on. You can apply them with fingers or a brush, although I think a brush gives me more control. Armani's Color-Fil color matrix formula blends and layers without creasing or flaking, and these shadows are extremely long-lasting. Even their shine sticks around. With the holiday shades, the shine won't fade until you're ready to remove it. 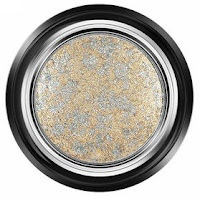 If you want to light up your holiday look, these Eyes to Kill Intense shadows are a perfect option. Just don't buy them for everyday wear (unless you party a lot!). Plan to look like a celebrity when you wear them. Would you bid on my auction donation? It's for a great cause, Doctors Without Borders! 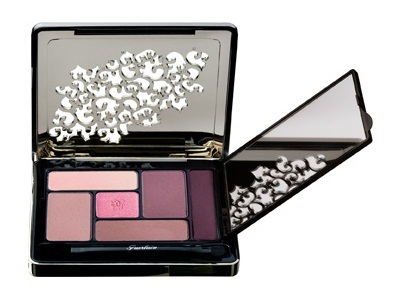 I donated Giorgio Armani Beauty's Holiday 2011 Madre Perla Eye Palette in Harmony #2. The new, limited-edition holiday palette will make you dazzle any time of year. The Beauty Bloggers for Charity Auction is live and rolling online. Beauty brands and bloggers donated generously - not only the items at auction, but also the cost of shipping. Karla Sugar got us organized. The auction is open to bidders from any country. The high bidder on each item will receive it directly from the donor, once it's paid. We're hoping that each item sells for much more than its retail value. Why? All the proceeds will go directly from the winning bidders to Doctors Without Borders, an international medical humanitarian organization created by doctors and journalists in France in 1971. Today, MSF (Médecins Sans Frontières) provides independent, impartial assistance in more than 60 countries to people whose survival is threatened by violence, neglect, or catastrophe - primarily due to armed conflict, epidemics, malnutrition, exclusion from health care, or natural disasters. MSF provides independent, impartial assistance to those most in need. MSF also speaks out to bring attention to neglected crises, challenge inadequacies, or abuse of the aid system and to advocate for improved medical treatments and protocols. In 1999, MSF received the Nobel Peace Prize. Can you think of a more worthy cause for your year-end giving? The auction started today and ends on December 12 at 5:00 pm CST. I've already been there bidding this morning. It's fun to play. I'm not going to tell you what I want the most. I'll pay almost anything to win it! When the auction ends, winning bidders will make their contributions directly to Doctors Without Borders, using a secure giving page. By supporting the auction and bidding (bid on my Armani palette above, please! ), you'll be joining us in helping people with needs we can't even imagine. We want to top last year's donation to Doctors Without Borders. Please help. Now, for our "regular" weekly giveaway contest! Sephora's Give Me Some Lip Vol. II is a six-piece lip collection that has it all - lipstick, gloss, and stains. 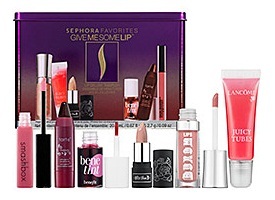 Your arsenal for creating unlimited lip looks, Give Me Some Lip features some of Sephora's bestselling lip products in an array of beautiful shades and textures - all in one set. This set contains deluxe sample sizes of these lip goodies, contained in a cute little tin you can use to store your makeup brushes upright. I like Sephora's samplers, and if bidding in the past is any indication, you do too. How can you enter to win? All you really have to do is leave a comment on this feature. After you comment here, feel free to send me an e-mail at bestthingsinbeautycontests@gmail.com and identify your comment. You can never be too careful about sharing an e-mail address you care about on a blog, so feel free to follow this step (an alternative is to code your e-mail, e.g., myname at gmail dot com, in your comment). You can earn a third entry by tweeting this contest. You must include "@BTiBeauty" (without the quotes) and the contest title in your tweet. Remember, tweet the contest title. I will tweet the contest in a few minutes, and you can simply retweet it to earn that second entry - if that's easier. The deadline for entries will be Saturday, December 3, at midnight. The next day, I will use a random number generator (random.org) to select the winner. I will e-mail the winner on Sunday morning. The winner will have 48 hours to reply to my message and provide a shipping address. After 48 hours, the prize will be forfeited, and another winner will be selected. Make sure to check your e-mail - and look in your spam folder - when the contest ends. Check out Façon Magazine, which launched this weekend. Façon is a new voice for emerging fashion design - and everything stylish. With a focus on the mid-Atlantic region, but a reach to the whole country, Façon brings you to all things stylish and desirable. Janice Susan Wallace, the editor in chief, had a vision. She wanted to give a voice to creative fashion, jewelry, and beauty designers - for men and women - who may be overlooked in the general brand overload we see in many of today's style features. Façon puts a spotlight on those creative geniuses, while not overlooking the well-known brands that are available to us in our favorite area retail stores. After you've had a chance to "turn the pages," please let me know what you think. Le Métier de Beauté's Red Rapture Kaleidoscope Lip Kit ($95) blended tradition and vision, creativity and innovation. 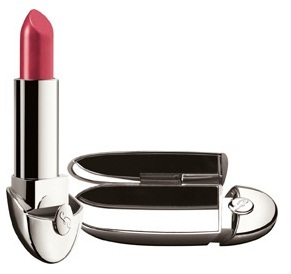 The limited-edition Red Rapture combined four irresistible shades of luminous lip color to create the perfect red lip. The colors, Leeds, Monaco, Castelo, and Tremezzo, were universal. I say "were" because I don't know where you might buy Red Rapture today. I purchased mine early this fall from Fred Segal in California (perhaps there are some left?). Every so often, Le Métier de Beauté posts Kaleidoscope "finds" on their Facebook page, so you really should go "like" them. You never know what treasures they may find. Neiman Marcus and Bergdorf Goodman used to have Red Rapture available, but I don't know whether it still exists in any store's inventory. Reds that are universal - beautiful for all skin tones. I'm not a red lipstick fan. I still feel like I'm "playing grown-up" when I wear it. Actually, only two of these four shades are actually red-red. The other shades are bold, but they are variations on red. I like to wear these four shades as stains - the way Dustin Lujan taught me to wear bold lip colors. I apply them, then blot with a Kleenex, removing some of the in-your-face oomph. Then I apply a lip gloss over them. The combination of the "lip stain" and lip gloss is extremely long-lasting. I swatched each of the shades, starting at the top of the Kaleidoscope at the top of my arm and working down both. I used a concealer brush to ensure broad swatches, applying them "moderately." I took my photos in full, late-afternoon sun. I hope you can see that the shades are beautifully vibrant and leap off my arm (lips too). Why am I showing you something you may not be able to find? 'Tis the season for red lips, so I pulled out Red Rapture to use it. 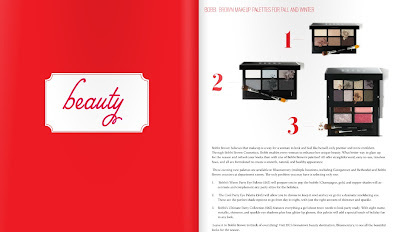 Also, as Le Métier de Beauté has shown us before, they do listen to their customers. If you want the whole Kaleidoscope re-issued, or if you'd love to see one of these shades included in a future Kaleidoscope, please comment here. I'll make sure your comments are passed along. The Non-Blonde found that one of the shades in the 2010 Le Petit Poudrier Lip Crème Palette was very close to vibrant red in Red Rapture. What some would call "dupes" made Gaia a happy gal! I'm hoping Le Métier de Beauté brings back the third shade down - is it Castelo? The kit itself doesn't tell me. It's simply perfect on my lips, with its touch of brown/mauve on my skin! 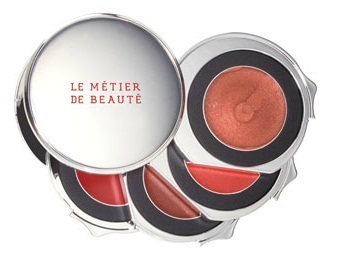 I'll check with Le Métier de Beauté when it's not a weekend. I have one more "unavailable" Kaleidoscope" to show you. You just never know. One day I was talking to Dustin Lujan, and he "confessed" that he had an eye Kaleidoscope with green tones. It had to be mine - and now it is. Speaking of Dustin, his new Antiquité Poupée Kaleidoscope Eye Kit was released a few days early, and it's now sold out (unless LMdB produces a few more). What do you think? Are you sorry you missed Red Rapture, or are you lucky enough to own it? As I carried more new things into my house today (a fruitful day of shopping on Small Business Saturday), it struck me to give away something to make room. The first thing I spied was this beautiful eye shadow palette from Tarte, which came with a sample of Lights, Camera, Lashes. I decided to run a quick, ad hoc giveaway contest. Enter now so you don't forget. 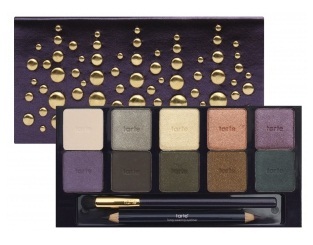 Before being treated with soothing vitamins, the luxurious shadows in Tarte's TEN Limited-Edition Collector's Eye Shadow Palette ($44) are softly milled from natural mineral pigments for rich color payoff and silky application. The liners are infused with antioxidant-rich and free-radical fighting carnauba wax, shea butter, and cocoa seed butter. The deep black and plum are sure to complement every look. Housed in a refillable palette studded out to embody a little bubbly, this masterpiece is the perfect way to celebrate the last decade of Tarte's welcome existence. Here's a toast to the next TEN. Cheers! Here are the shades in TEN. How can you enter to win? All you really have to do is leave a comment on this feature. The deadline for entries will be Sunday, November 27, at midnight. The next day, I will use a random number generator (random.org) to select the winner. I will e-mail the winner on Monday morning. The winner will have 48 hours to reply to my message and provide a shipping address. After 48 hours, the prize will be forfeited, and another winner will be selected. Make sure to check your e-mail - and look in your spam folder - when the contest ends. I had time for a quick spin through beauty and fragrance blogs this morning. I couldn't visit all my favorites because I was swept away reading the features below. Now I have Small Business Saturday shopping to do. Dolce & Gabbana's makeup captured my attention this year, and The Beauty Look Book just steered me D&G's way again with the lovely new holiday collection! The Non-Blonde featured two beautiful lip glosses from a new-to-me company. I'll have to check out Mirabella Beauty! If you want to learn more about skin care and a common malady, head over to Fab over Forty and actually see melasma. Everything's coming up roses at Daly Beauty. There was another pretty look (and some excellent comparisons) at Le Métier de Beauté's Come One, Come All Kaleidoscope at Modesty Brown. If Time4Beauty's photos aren't enough to make you run out and buy Dior's Addict Lip Polish Smoothing Lacquer, I don't know would be. Gouldylox Reviews modeled the Daytime Drama Palette by Three Custom Color Specialists. I think it's pretty. Delicate Hummingbird has an excellent pictorial on Giorgio Armani Beauty's High Precision Retouch Concealer. It’s the season for holiday candles. Many of us are tired of the usual pine and pomander (fruit-and-spice) offerings, so Now Smell This reviewed a candle that qualifies as “festive” without being a cliché," Astier de Villatte Naples. While we're on a scented holiday theme, check out Eyeliner in a Cat's gift guide. She reminded me that I must buy that book. I love just about everything Shiseido, so it's no wonder Fruity Lashes tempted me with the foundation brush. We finally got a SpaceNK in the DC area, but I found out at Product Girl that I don't have to leave my desk chair to get a great GWP...if I hurry. Oh my...who would have known if it weren't for Beauty Black Book? Tom Pecheux did the makeup for the 2011 Victoria's Secret Fashion Show, ensuring that all of the models' assets were presented nicely. Do you know what's in the skin care products you are using? Do you know what should be? It's a good idea to learn about ingredients so that you can choose products wisely. In 2009, I wrote about hyaluronic acid (HA). Nothing about its supreme effectiveness has changed, so I decided to dust off this feature and run it again. I read every ingredient on the box before I purchase a skin care product. That way, I can judge whether the product is likely to work and, conversely, whether it has anything in it that I know will irritate my skin. 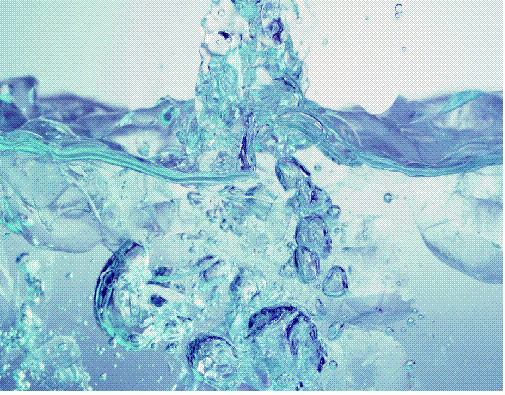 One of today's skin-care superstars is hyaluronic acid (HA). You probably know about it, without knowing its name, because the dermal fillers Restylane and JUVÉDERM are made from synthetic HA. HA exists naturally in our bodies. It's hydrophilic, meaning it loves water - actually binds to water in the skin. By its nature, HA retains water like a sponge. This helps to attract and maintain water within the extracellular space, hydrating your skin and increasing its volume and density. HA is also involved with the transport of essential nutrients to the skin's cells. As we age and our skin is exposed to environmental pollutants and the sun's ultraviolet rays, the cells gradually lose their ability to produce HA. Studies have shown that older skin typically has lower levels of HA than younger skin. People who are 50 years of age have less than half the HA they had in their youth. Their skin tissue becomes dehydrated, and the collagen and elastin fibers lose their structure - both bad - resulting in a loss of skin volume and the formation of wrinkles. Hyaluronic acid has been nicknamed by the press as the "key to the fountain of youth" because it has been noted that at least some people who ingest a lot of it in their diets tend to live to ripe old ages. ABC News had a show on a village in Japan, "The Village of Long Life: Could Hyaluronic Acid be an Anti-Aging Remedy?" Dr. Toyosuke Komori, the town doctor, believes that the key may be locally grown starches, which may help to stimulate the body's natural creation of HA. Dr. Komori was quoted by ABC as saying; "I have seen a woman in her 90's with spotless skin." Unfortunately, it's probably too late for most of us to turn back the clock on our habits and diets, so we are going to have to preserve or replace our HA another way. It's all about water. Dr. Dennis Gross, founder of MD Skincare, wrote an excellent piece on HA, published at CareFair.com. He says the key benefit (and added beauty) HA brings to skin is characterized by turgidity: the optimal plumpness of skin achieved by the retention of water. When skin is optimally turgid, it appears smoother and plumper. HA achieves this effect because it is one of the most important regulators of water metabolism in the skin. HA also provides another benefit by preventing the evaporation of water from the skin. Because the HA molecule is large, it won't penetrate the skin to reach the deep dermal layers. While nanotechnology to break the molecule into a size that can be absorbed is promising, there is much work to do to ensure that topical HA can work below the surface of the skin. What you are buying in your moisturizer is effective at the surface, just not as effective as it might be if the HA could more deeply penetrate the skin. That's why HA injections are so effective - they put the HA right where it does its best work. The use of HA in topical moisturizers is not without controversy - for more reasons than we can discuss here. Some sources recommend a more holistic approach to preserve the HA that's already in the skin. Free radicals (which are created in the skin thanks to ultraviolet radiation, pollution, and the natural aging process) decrease the skin's ability to produce HA naturally - and even speed up the process of its degradation. This is because free radicals trigger the activity of a bodily enzyme called hyaluronidase. This enzyme's main function is to break down HA in your skin cells. Supposedly potent antioxidants like Coenzyme Q10 and natural vitamin E can significantly decrease the amount of free radicals in your skin, allowing it to stay firmer, more supple, and youthful much longer. I agree with both points of view, so I use skin care cocktails, with complementary ingredients, to care for my skin. Bottom line? HA is a highly effective humectant, an ingredient that holds moisture. HA can hold hundreds of times its weight in water and is used in many leading moisturizers. It can provide effective skin surface hydration, either alone or in combination with other moisturizing ingredients. You should be looking for it in your skin-care products. 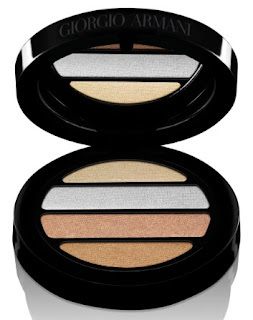 During the Sephora Friends & Family Sale, I purchased Givenchy's Le Prisme Yeux Mono in Or Céleste ($29) from the Nuit Celeste Collection for Holiday 2011. The signature piece, L'Ombre Noire, a black eye shadow, was "not me." While the L'Or Céleste Starry Loose Powder looked very interesting, I opted for something safer: the limited-edition gold Le Prisme for eyes in Or Céleste. I'm sure you already know that each Le Prisme is an innovative monochromatic powder eyeshadow that provides four finishes in one compact - in this case four golds. I was pretty sure gold would make me happy. Givenchy's Le Prisme Mono creates made-to-measure results that range from natural to couture or simple to sophisticated. The formula contains atomized pigments that provide vibrant, stay-true color. Blend the four domes together for a single refined shade or use each one separately for a personalized result. I photographed all four shades of Or Céleste in individual swatches, hoping to capture the differences among the four finishes. I was only partially successful. Part of the problem was mine, but I think I can attribute part of the problem to one of the shades. I swatched in clockwise order, starting with the shade at the top left in the compact. You can see on my arm that three of the four golds sparkle. The third one down on my arm (bottom right in the compact) doesn't adhere well. I worked fairly hard to get even swatches with a sponge-tipped applicator, and still the third shade (the softest in the compact) left a bit more sparkle than color on my arm. The matte shade in the compact, shown at the bottom of my arm, bores me, but it may be just the thing if you are missing a matte gold in your eye shadow wardrobe. The top two golds are slightly different in tone, with one offering a touch of antique gold to the pure gold. Are they different enough to warrant a purchase as individual shades? Not to my eye. Swirl all four shades together, and you'll achieve a pretty, sparkling gold for your eyelids. The "deficiencies" of two of the shades are outweighed by the overall effect, and Or Céleste earns its keep. Should you purchase it? 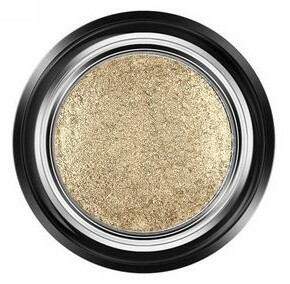 Only if you are looking for one new gold powder eye shadow - not four. If you already have one - or more - I'm not sure you'll find Or Céleste to be groundbreaking. I'm glad I got a discount. Am I shopping today? Not yet! I'm feeling extremely lazy. I'm secure in knowing that there are fabulous online deals and discounts, and I'm reluctant to go in a store and be tempted to buy things I don't need - the inevitable outcome of shopping. I will eat those words if I end up at Tysons Galleria today. The Neiman Marcus Scent Event is still underway, and I don't have the GWP yet. Today I awakened from my Thanksgiving feast coma very early, so I watched funny animal videos on my iPad. I enjoyed Catvertising, shared on YouTube by Daly Beauty. Then I watched Mishka, the talking Husky again. Mishka has her own Facebook page now. I think I'm going to have to "like" her because I love her. I can't wait to hear about your shopping this weekend, so please make sure to leave a comment and let us know what you picked up for yourself. Earlier in the week, I called the Caron boutique in New York and pre-ordered a few bottles of their pricey perfumes, including Tuberose (see yesterday's Weekend Shopping Deals feature). I also ordered a sample of fragrances from the new Dawn Spencer Hurwitz site. That's enough for one week for me, especially with my special CREED bottle on its way. I wanted to take a moment to address all the "furor" around Le Métier de Beauté's Come One, Come All Kaleidoscope that was exclusive to Nordstrom Montgomery Mall. I have received a lot of correspondence about it, both in e-mails and in blog comments (the most recent asking me if Dustin's new palette contains re-promoted colors). I've done some "due diligence" on the process Tawni used to select shades for Come One, Come All, and I think it was an unfortunate coincidence that she selected two shades that were identical (or almost identical) to two of the shades in Silk Road, which is still available at counters. It was definitely not a ruse by the company to "use up" unpopular shades, as one observer put it. I'm afraid more than a few of you without access to a local counter have become wary of ordering (and paying shipping costs for) duplicates of colors you already own. I understand that, and I've passed your concerns on to my contacts at Le Métier de Beauté. I know they want happy customers. Maybe some day soon, I'll be able to offer more words of reassurance about the line we all love. The YSL Beauté Ombres 5 Lumières (5 Colour Harmony for Eyes) giveaway contest ends tomorrow, November 26, at midnight. Make sure to enter before you go shopping! Tomorrow is Small Business Saturday. Please remember to buy something from a local, small business. American Express is asking millions of people to Shop Small at their favorite local stores to help fuel the economy. What a great idea! Here's a link where you can learn more. American Express wants to help you make a difference. You can get a one-time $25 statement credit when you register an eligible American Express Card and use that card for a purchase of $25 or more at a small business on November 26. Just click on that link above to register your card. It's a great deal for everyone! The Beauty Bloggers Charity Auction starts Monday, November 28. It's a lovely opportunity to purchase something you'd love to have and support Doctors Without Borders at the same time! I'm sure your e-mail box is as cluttered with offers as mine is, so I won't recite every offer I've received. In this feature, I'll point out the ones that caught my eye. On weekends like this, I like to shop online. Some of these offers were in e-mails or PR notices, and some were found on Facebook or Twitter. One of the most exciting is at Chantecaille's Web site. With a $250 purchase, you'll receive a free Les Macarons Palette and free shipping! Use code SHOPCHIC. Amazing deal! At Giorgio Armani Beauty online until November 29, spend $75 and enjoy 20% off and free second-day shipping. Use code GAHOLIDAY1. Spend $125, and you'll get the same 20% discount and free shipping, but also six minis, a $42 value. Use code GAHOLIDAY4. Beautyhabit has free shipping through November 28. Use the code GRATITUDE. If you spend spend $100 or more, use the code DESSERT4LIPS, and you'll receive a full-sized Sarah Happ Red Velvet Lip Scrub. Even more for you if you spend $225 or more. Use code DELUXE to receive a Rahua by Amazon Beauty Jet Setter Kit. At Neiman Marcus in store on Black Friday, spend $100 or more, and you'll receive a $50 gift card. Some exclusions apply. Not to be outdone, Saks Fifth Avenue is offering a $25 gift card to those who spend $100 on beauty or fragrance online. Use code SFABEAUTY. Please note: I was just "successful" in learning the in-store exclusions at Neiman Marcus: Beauty (drat! ), food items, children, Van Cleef & Arpels, Chanel, and Louis Vuitton. At Laura Geller online, you'll receive 20% off everything through November 28. If you spend at least $50, you'll get free shipping too. At Peter Lamas, you'll receive a 20% discount off your entire order through December 1. Use the code GIVE11 at checkout. THANN Skin Care has a deep Black Friday discounts on select items. You'll get free shipping on orders over $80. All this weekend at Jouer Cosmetics, you can get a 20% discount with the code GIVETHANKS11. Caron's New York boutique will be offering a 20% discount on fragrances and accessories from December 1 through 7. Call Diane at 1-877-88CARON to pre-order like I did. 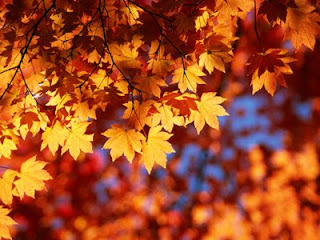 Through November 28, you'll receive a 10% discount at Parfums Raffy if you use code FACEBOOK2011. This offer is being extended through Friday, December 2! At b~glowing.com through November 28, enter code CYBER11 and get 20% off most products and free shipping off orders of $75 or more. Shop YSL Beauté and enjoy a 20% discount this weekend with code CYBER. Spend more than $100, and you'll get a free gift with code MONDAY, Monday through November 30. At Butter London, you'll get a 30% discount with code CELEBRATE11 through November 30. I'll be at John Masters Organics buying hair care and other things. Use code HOLIDAY11 through November 29 to save 25%. Shu Uemura is offering a 20% discount with code WISH2001 through November 29. You'll get free shipping if you spend $50 or more. This just in...Sephora has $10 specials tomorrow online and in store. A few are exciting. Kate Somerville's Friends & Family sale just started! 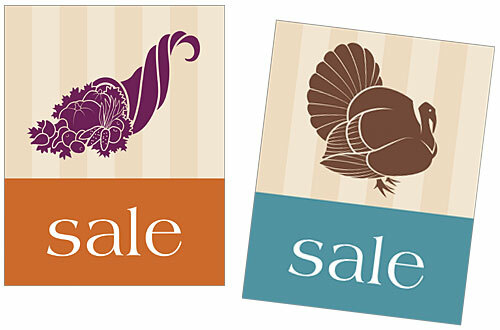 You can save 30% with code HOLIDAY2011 from now through November 28. Smashbox has a 20% Friends & Family discount through November 28. Use code SBXFF11. The more you spend, the more you save at Beautorium. When you spend over $50, use code SAVE10 to save 10%. Spend over $150, save 15% with code SAVE15. When you go all out and spend $250, use code SAVE20 to save 20%. At Antica Farmacista, if you spend more than $60, you'll receive a complimentary 100 ml Champagne diffuser. Save 20% on your favorite Bliss Spa products this holiday season and check out the new holiday sets! Use promo code TAKE20. Like leather? Cole Haan is offering a 20% discount in stores and online this weekend. Use code THANKS20. 80 Acres Body Care is offering 20% off the entire collection. Use code OURGIFT through December 20! Hurry on this one. The first 500 customers who spend $45 at Stila will receive a free six-pan compact (filled) and free shipping. Use code BLACKFRIDAY. You'll see other offers at the site. There's free international shipping at Zuneta until December 5. The code is FREESHIPXMAS. You could do some Rouge Bunny Rouge shopping. 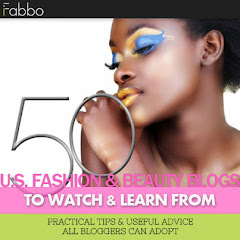 Check out Fab over Forty, Temptalia, and other beauty blogs for more offers. As I mentioned above, these were the ones that revved me. I'll add more to this list if they strike me as particularly notable. If you don't see your favorite site in these offers, make sure to register there for notices, or Google for special offers. 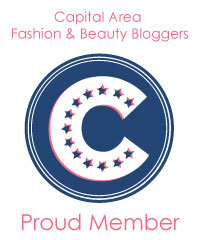 Don't forget the Beauty Bloggers Charity Auction starts Monday! What would we do without Jen Meade? 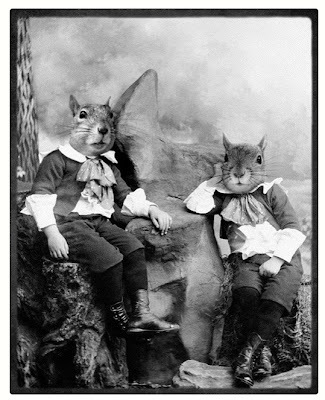 She is the blogger behind Simply Pretty, and she published some adorable portraits of animals in fancy dress, including the squirrels above, which led me to another site with elaborately costumed animals (Minutest). If you love animals, take a break from all that cooking, eating, and shopping to check out some entertaining Victorian pictures.